Tasman Revival 2012 Fires Up Its Engines! A huge field of historic sports and racing cars has made its way from around the country, across the oceans and through the decades for the 2012 Tasman Revival, and we’re ready to fire the starting gun and let them all loose on Sydney Motorsport Park. So we thought we’d bring together everything you need to know for a brilliant weekend of historic motorsport! The first thing you’ll need to do is get to Sydney Motorsport Park. The Sydney Motorsport Park website has excellent instructions on getting to the track, and clicking this link will take you directly to them! Spectator parking is available in P3 through Gate A up on the hill on the left. 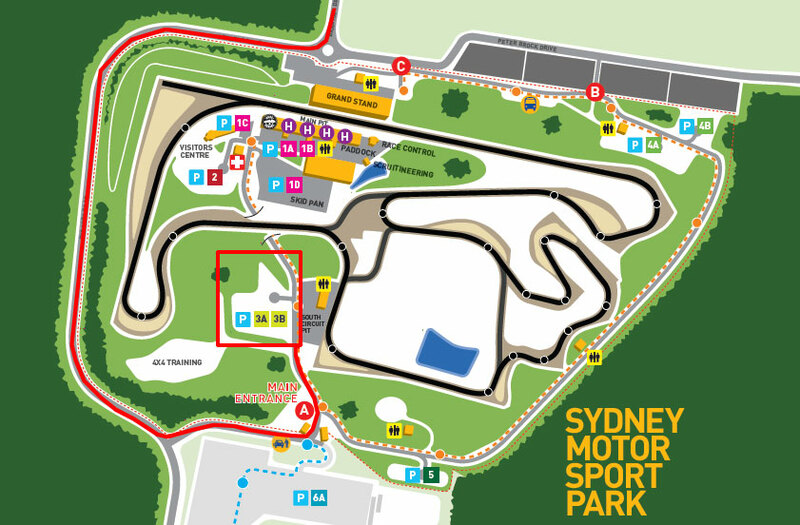 Once you’re through the gates you will be directed accordingly and you can hit this link for a parking map via Sydney Motorsport Park. Once you’re there you’ll need some tickets, which you’ll be able to buy at the gate every day. Ticket prices include parking, as well as entrance to grandstand seating and the competitor’s paddock (come say hi!). Lost tickets will not be replaced. Food, drink and all manner of cool historic racing paraphernalia will be available at the track all weekend long to keep your tanks topped up and provide plenty to explore. Remember to bring comfy shoes, suncream and some walking around money, and keep plenty of water on hand. If you’d like to know who’s entered the event, in what, and when they’ll be racing, right-click and ‘Save As’ the following links to download the provisional entry list and programme of events. These will be available in hard copy at the event. This entry was posted on Monday, November 19th, 2012 at 12:22 am	and is filed under Tasman Revival and tagged with 2012. You can follow any responses to this entry through the RSS 2.0 feed.